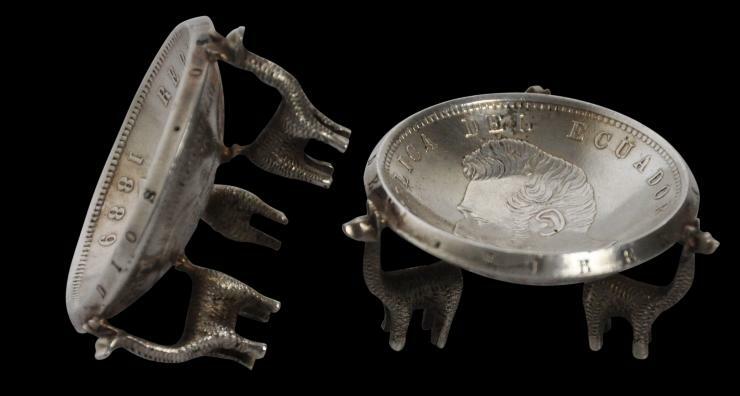 Small salts like these were made in the early 20th century by hammering Ecuador’s silver one sucre coins in a mould to give them a concave shape. 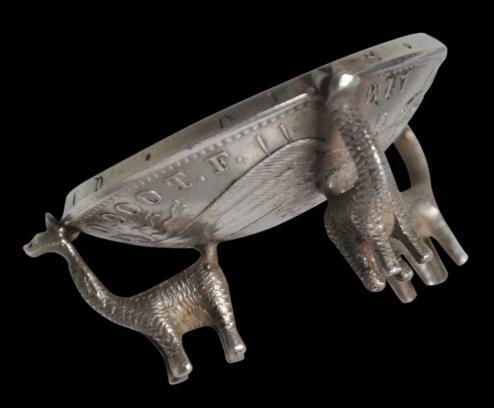 Each was then given three small feet in the form of small silver lamas. The salts were not accompanied by small spoons; instead the user would use his or her thumb and forefinger to take a ‘pinch’ of salt or pepper. The Ecuadorian peso was renamed the sucre in 1884. Ecuador used the silver standard between 1884 and 1898 and during this time, sucre coins were minted in high-grade silver (90% silver content). They were minted in either Birmingham, England, or in Santiago, Chile. The pair here are marked on the reverse to Santiago. 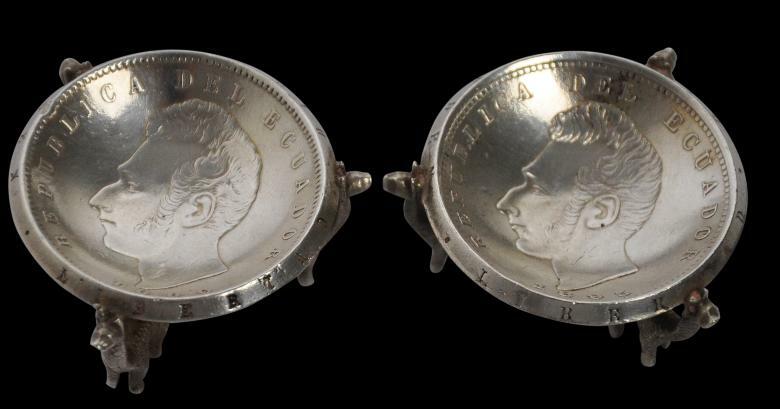 The coins in this pair of salts are dated 1889 and 1895. Both are in fine condition, with little obvious wear.